Canaries eight airports recorded last September 3,196,693 passengers, representing an increase of 14.4% over the same month last year. Of the total number of commercial passengers (3,173,457) 2,007,836 correspond to international traffic, reflecting a rise of 17%, and 1,165,621 nationally, 11% more than in September 2015. 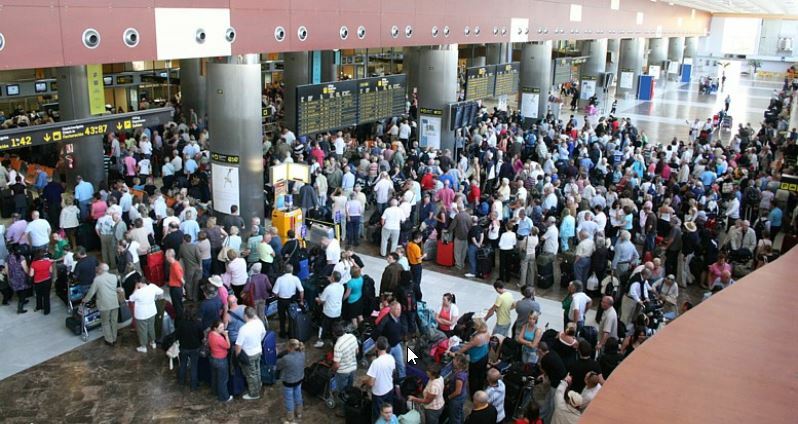 The busiest airports passenger traffic were the archipelago Gran Canaria, Tenerife South airport (TFS) and Lanzarote, with 885,914 (+ 16.4%), 811,586 (+ 19.8%) and 567,855 (+ 12.2%) respectively, ranking seventh, eighth and ninth Aena network. They are followed Fuerteventura Airport, with 460,974 (+ 9.4%), Tenerife Norte, 362,888 (+ 8.1%), La Palma, with 89,472 (+ 17.3%), El Hierro, 14,252 (+6, 6%) and La Gomera, with 3,752 passengers (+ 17%). Regarding the number of operations, Canary Islands airports recorded 28,115, 14.2% more than in September 2015. Of the total trade receivables (26,857), 12,086 were international (+ 18.7%) and 14,771 national (+ 12.5%). Freight traffic was transported 3,021 tons, 10.8% less than in the same period of 2015. So far this year the number of passengers registered in Canary Islands airports amounted to 29,768,978, 13.4% more than in 2015. Of the total commercial flights (29,407,849) 19,406,500 were international flights, 14.2%, and national 10,001,349, up 11.6%. The number of operations recorded during this period was 264,013 (+ 10.9%) and transported goods traffic amounted to 27,750 tons (-0.8%).